IKF PKB PRESIDENT JOHNNY DAVIS AND AK PROMOTIONS. 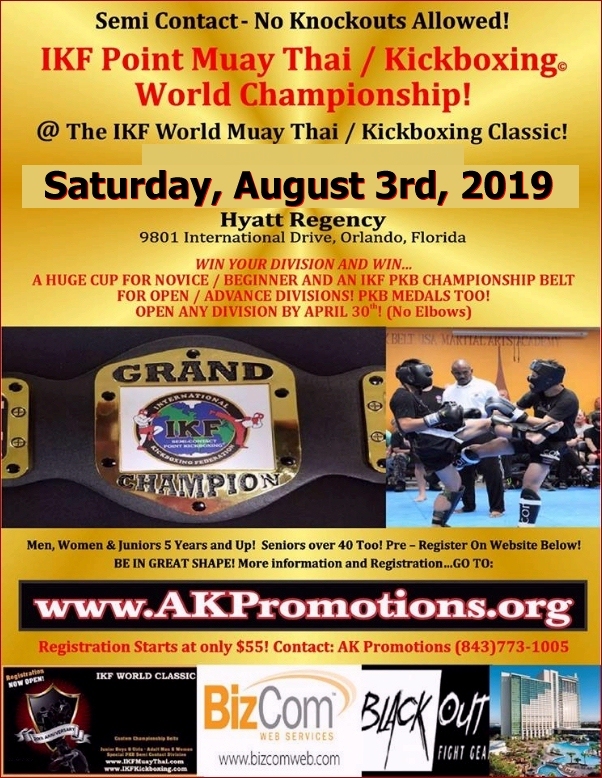 Note: IKF World Classic Trainers get in Free. Fighter Registration ENDS At 2:PM Saturday, August 3rd, 2018. SATURDAY 3:00 PM: Rules Meeting & Officials Fight Assignments. (**) Point Kickboxing / Muay Thai Tournament will take place during the Main Tournament Time.